Beautiful raw cocoa butter. Photo by My New Roots Blog. The first thing that comes to mind when we think about cocoa butter is how amazing it smells. It has such a wonderful aroma of chocolate, we just can’t get enough! Who doesn’t like chocolate or at least the smell of chocolate? Practically NO ONE, so why wouldn’t we use cocoa butter as the main ingredient in almost every product we make at Bee Organic? The answer is we would, of course! So what does the smell of chocolate do to our brains? It raises serotonin levels in the brain; in return, it acts as an anti-depressant and helps reduce systems of PMS. So in a (cocoa) nut shell, it makes you feel good. Cocoa stimulates the secretion of endorphins, producing a pleasurable sensation similar to the “runner’s high” a jogger feels after running several miles. 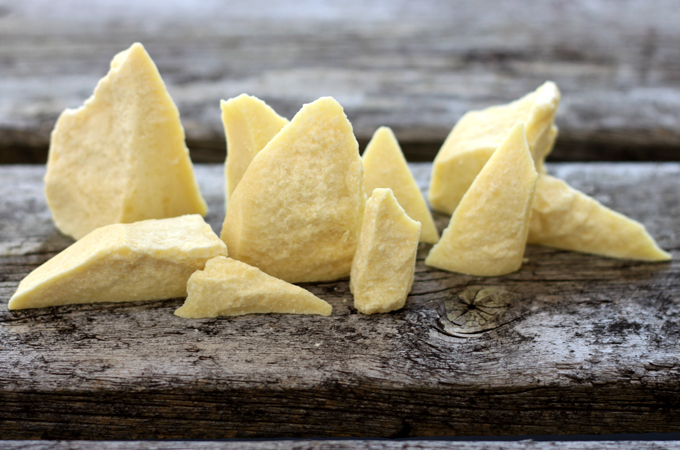 Cocoa Butter is also packed with essential minerals such as magnesium, manganese, iron, zink, potassium, copper, calcium, and sulfur. Sulfur helps strengthen hair and nails and promotes beautiful skin while detoxing your liver and keeps good pancreas function. Magnesium helps keep bones strong while regulating your heart beat. Cocoa butter is one of the number one sources for magnesium of any food. Additionally, cocoa butter is very high in antioxidants; antioxidants help fight off free radicals that cause premature aging. It also packs the punch of containing vitamins A, B1, B2, B3, C, E, which are all excellent for skin health. Who wants to get rid of old stretch marks and make sure no new ones creep up on us? We know we do! It’s no secret that just about every stretch mark cream on the market has cocoa butter in it, because it can help to fade old scares and prevent new ones. We could go on about the benefits of cocoa butter, they’re so innumerable. This fabulous butter can help to alleviate skin conditions such as eczema, dermatitis, and psoriasis. And on, and on, and on! Check out your skincare moisturizer and see if it contains cocoa butter. And if it does, check how much. 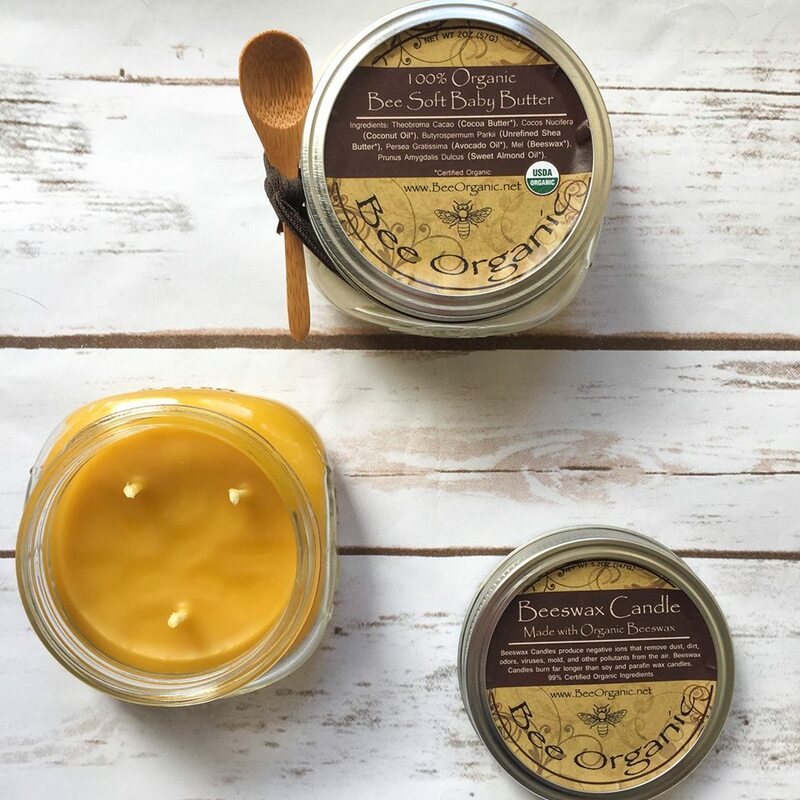 Our Bee Soft Body Body contains nothing but 100% organic butters and oils. No water, no chemicals, no fillers. Nothing but pure, natural, organic goodness. I have developed an allergic reaction to deodorant. So I tried unscented bee organic deodorant. Works but goes really fast. That is my only complaint. Thanks for your feedback Kathy! We’re always trying to improve our products. Can you give me a rough estimate on how long the deodorant lasted for you? And was there anything else about the product you loved or thought needed improving?